Denver Light Railway Ltd | Providing local [trade] services in and surrounding areas. Providing a wide range of Services & Products, Denver Light Railway Ltd specialise in the Restoration, Renovation & Manufacturing of Steam/Petrol Locomotives. Denver Light Railway Ltd has completed projects now running in countries as far away as The United States of America. I have laid tracks for zoos and have maintenance contracts for garden centres. Please take a look at some of the work we have done and I hope that you will give us the opportunity to help make the ideas and projects you dream about come to life. My name is Andrew Walton and I have been associated with Steam/Petrol Locomotives for 22 years. Which has grown into my business ‘Denver Light Railway Ltd’. From an early age, Steam Power has always fascinated me. Like most children, it started with looking and listening to others who had a passion for Steam Locomotives. For myself, this was my father (a tool maker with a local company). 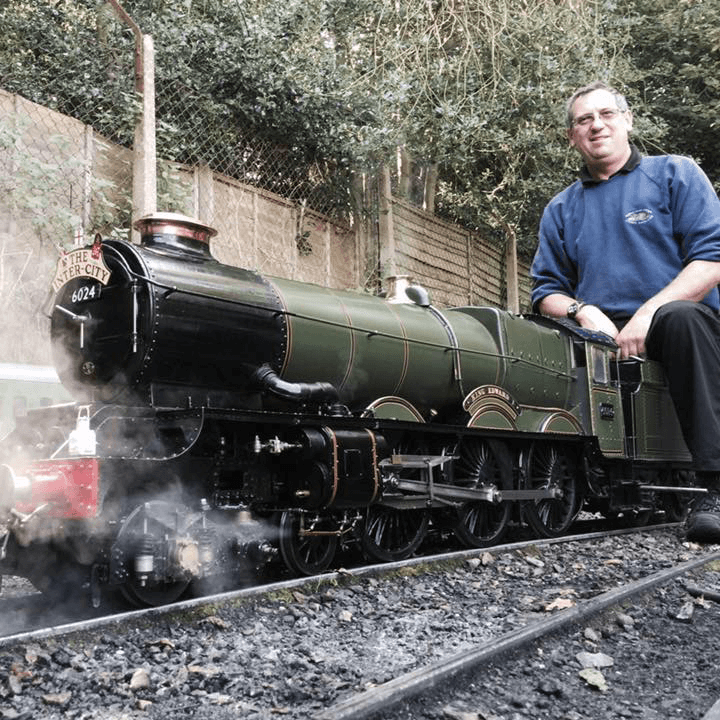 His passion was steam locomotives, which led him to build a 5” gauge tank engine called Ruby. He showed me how it all went together with minute engineering and precision workmanship. It felt so good to be able to see it running after hours and hours of work, a true labour of love. This gave me my first insight into the satisfaction that can be gained from precision engineering and was to inspire bigger and better projects over the years to come. During my teenage years, I worked as a volunteer at the ‘Severn Valley Railway’, working on the full size Locomotives in the motive power dept. As time moves on and priorities change, including marriage and families, it was time to find something closer to home that the family could get involved with. Please browse my website and feel free to contact me by phone, e-mail or by using the contact form on the contact page. "May I say how pleased I am with my new Locomotive, we will have more to add to the collection soon and so will be in touch!" "I have always received good service from Denver Light Railway Ltd. Timing and quality have always met my expectations and everything is communicated in a professional and timely manner." "Thanks for the work you have done, we are very pleased and have already passed your name on to a couple of people."